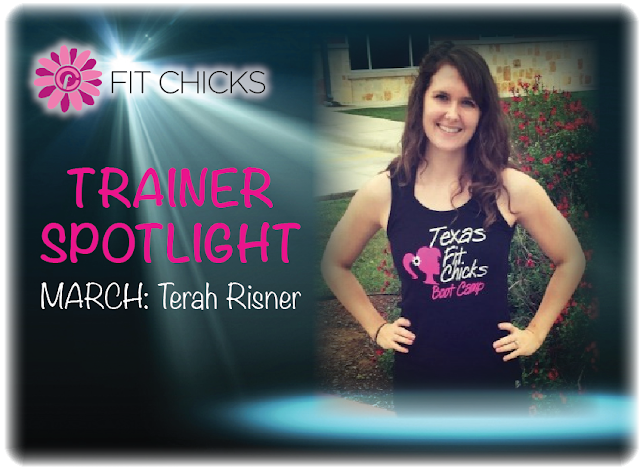 Terah Risner gets the spotlight this month. Terah was laser-focused on making the 2016 trainer trip. She hit that, but then just kept blowing past the finish line and was determined to have growth through what is normally our slower season. Terah had 16 Chicks in Sept 2016. She's kicked that up to 34 this month! In conversations with Terah she said she uses Sweat Angels heavily and posts on FB, but she really attributed most of her success to the environment she creates in camp and the personal attention she provides to each Chick - all of the time. They have become her biggest marketers! Terah has an incredible amount of humility and is definitely not one to tout her success - but after some convincing she agreed to put some of her approaches in writing and let us share with you! I've been a Fit Chick trainer for almost 2 years, starting with my evening class in May of '15, and my morning class June of '16. I've learned one thing about myself that I try to radiate during every class. I want to connect with and empower women. I want my chicks to find a strength and a happiness inside themselves that they've never known. I truly believe that because I create this atmosphere and experience every time my chicks come to class, it has greatly impacted my turnover rate and my referral rate. Side note, I do participate in the Sweat Angels/Causely program. I highly recommend doing this if you haven't. I write on a whiteboard a reminder to check in, and that month's hashtag. My chicks never know if I've had a bad day. There is no negativity from me or my chicks. It's not allowed!! I'm a huge goofball during camp and try to get them to them loosen up, laugh, and enjoy themselves while they workout. They get 110% of my attention for that full hour. I greet them with a smile and tell them that I am excited to see them. I ask about their day. If they've been missing class, or not seeming themselves, I check in. I talk to them, text them, and find out what's up. Everyone's different and needs encouragement in different ways. I want to find their 'why' so I can be a better trainer for them personally! 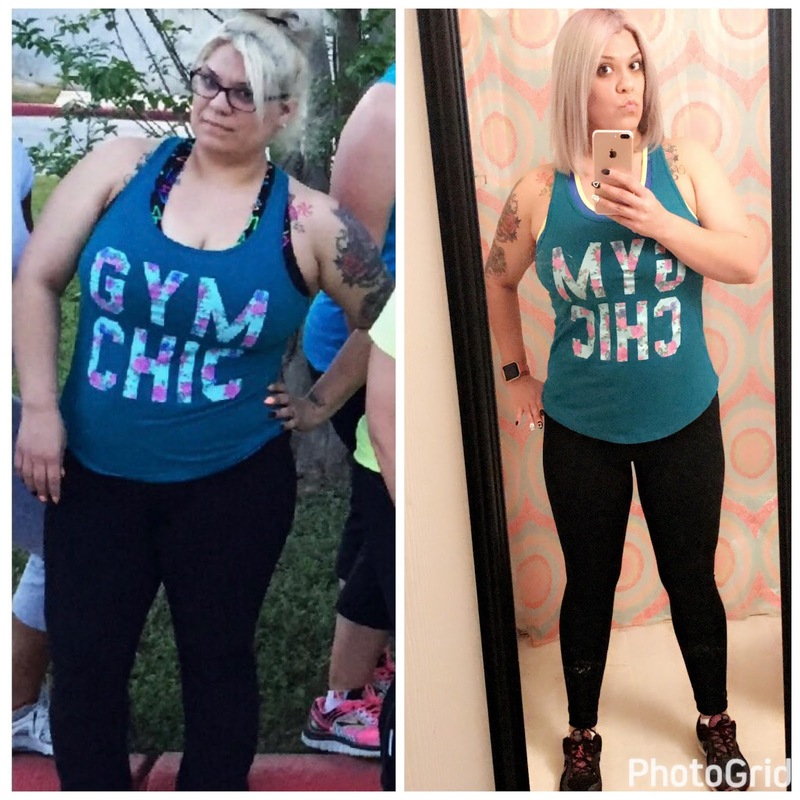 I am huge supporter of non-scale victories. We celebrate them and do shoutouts during class. If I notice someone doing a full bur-pee instead of modified, moving up in weights, or a push-up on their toes when they've been on their knees - I call them out! I let them know I noticed! I call out people individually to let them know I see them putting in the effort. If I see new muscles popping, I'll take pictures and send them to that chick after class. I make sure my advanced chicks are working to their fullest potential, and that my beginners never feel left behind. If that means I finish part of the workout with my beginners, then I do it! I try to get my chicks to connect outside of camp as well. It's about creating that fit family! I do a big introductory shoutout in our chick-only fb group for everyone that joins us. We do a Chick's Night Out every couple months, which really helps everyone get to know each other. I like to throw in occasional workouts. I did a super fun themed Christmas workout, and we all had a blast!! On Wednesdays, I do a #WonderWomanWednesday shoutout on my fit chick fb page to someone that's stood out that week. I make a photo collage of her, and a quick blurb about why she's so awesome. I have gotten so many individual thank you's just for doing these. Y'all, the power of a compliment is HUGE! Maybe they need a pick-me-up, or maybe they're not feeling their progress, or maybe they don't get compliments any where else! Another thing I try and do every class is read a motivational quote during stretch, and talk about what it means to me and how to apply it to our lives. I got this idea at a leadership training last March. It's not always about fitness. Many times it's personal motivation. Stability Ball Workout from our McKinney Texas Fit Chicks trainer, LeighAnne! Alternate between the two exercises. Start with chest press - neck and shoulders on ball, weight in heels of feet, hips up (flat like a table) and chest press first 20 seconds. During the 10 second break place weights on hips, squeeze abs and glutes tight. Hip drops for next 20second round with weights on hips. Lower and lift glutes squeezing at the top. Neck and shoulders are on the ball. Decline Pushups - Hands under shoulders, ball is under shins (to modify, bring ball closer to hips) 20 seconds of work, 10 seconds rest - total 4 mins. 20 leg/arm drop- on back, hold ball above abdomen with toes and fingers, lower left leg and right arm, bring back up and lower right leg and left arm. Cue to keep belly button pulled in tight to spine. I am 31 years old and a new mom to a 7 month old baby girl. I have always been into fitness and loved that time to myself. After getting pregnant and having my daughter, I gained so much weight and literally got so down on myself. I've never been a depressed person but not being able to fit into anything and never feeling good enough about the way you look to even leave the house. I got into such a funk to where I was at home all the time and that's because I didn't want anyone to see how I looked. I know as a new mother you shouldn't be so down on yourself but I was. Being unsociable has never been me. I was always outgoing and never passed up a chance to do anything fun. I found this challenge on Facebook and knew I needed something like this to help me get focused and back on track. It was hard at first but when I got going with it, I got enough self esteem to show myself in public. I got back into crossfit and even got my husband to start eating better with me. I am not back where I was before my daughter but I feel better in my clothes, feel better about my image and feel that I'm back to being a good mom and wife as well. I'm not down and sad anymore. I have replaced that with determination to not ever let myself get to that level of depression again. My home is happier, my health is better, and my heart is so thankful for this opportunity that I got to work with Billie Jo and all the other ladies in the group that supported me and pushed me to keep going. This was not only a get healthy and weight loss success for me, it was a life changing even that I conquered and came our better than ever! Thank you Billie Jo, you did more for me than you will ever know. Being a mother sometimes you tend to put yourself last and prioritize your children’s needs. That was me, I forgot about me and lost myself along the road of motherhood. One day a friend was showing pictures of a party I attended and I saw myself and the first thing I thought was “is that me?" I couldn’t recognize myself. I needed to make a change. I needed to be healthier. I needed to put me as a priority too. 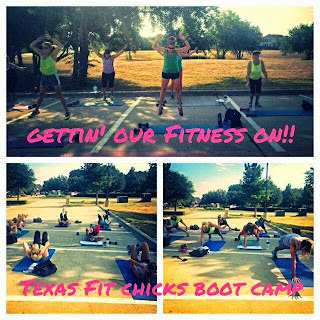 So, I found Texas Fit Chicks, and I can whole heartedly say joining Fit Chicks has been one of the best choices I’ve ever made. I’ll never forget the first day I started. I was welcomed by a group of women, every workout we did I finished last and I was struggling, but there was that group of women always clapping for me when I finished each exercise. That’s when I knew I made the right choice. The support I’ve received from my fit chick sisters is incredible. They all motivate me so much more than I think they understand. Annalisa, my trainer has helped me understand fitness and nutrition on a whole other level than I ever imagined. I now understand what my body needs to succeed and food is fuel for me rather than comfort. My health is now on the top list of my priorities and within the past 11 months with TFC I’ve lost 35 lbs.! I’ve gained so much confidence and made lifelong bonds with an amazing group of women. Thank you Fit Chicks and thank you Annalisa!